Keira Knightley broke out as a teen actress, but her journey hasn’t been easy. The actress earned her first Oscar nomination for “Pride and Prejudice” and is well-known for starring in period movies. In 2018, Knightley also revealed that she suffered from post-traumatic stress disorder following her abrupt rise to fame. Here’s how the actress went from a young child in London to a two-time Oscar nominee. She was cast because she resembled Natalie Portman, who played Padmé in the prequel movies. 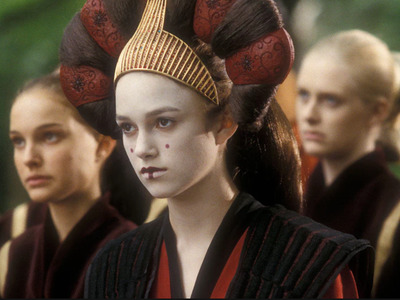 Sabé served as Padmé’s handmaiden and decoy.